Public intoxication jury victory - Fairfax criminal lawyer | Jon Katz, P.C. Public intoxication is overcharged in Virginia. As a Fairfax criminal lawyer, I know that an intoxicated in public conviction is not good for one’s reputation, and the risks of fighting such prosecutions only involve hiring a lawyer, and paying court fines and costs. Recently I obtained a jury acquittal for a client arrested for public intoxication after being denied boarding at the airport. 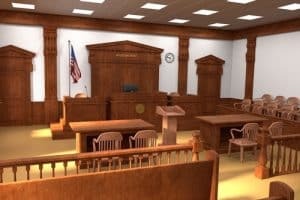 Throughout the trial, I told the jury an acquittal-geared story that instead of being intoxicated, my client was a traveler simply minding his own business at the airport gate, upset over a personal matter that helped explain his watery and bloodshot eyes, when a police officer went up to him, talked with him, and soon after arrested him for allegedly being drunk in public. The prosecution’s essential story through the arresting officer, at trial, was that my client was acting all upset at the airport gate, unsteady on his feet and staggering, had an odor of alcohol, admitted to two drinks, was crying at one point, and had bloodshot and watery eyes. My alternative story to the jury was that reasonable doubt galore existed where the video clips of my client at the airport showed my client walking normally, standing at the airline counter in a calm manner, with the police officer never needing to lay hands on my client before arresting him. Additionally, I pointed out that we do not know when my client drank, what he drank, nor the size of his drinks. I further underlined that this incident happened eight months ago, the officer’s report did not quantify the extent of any staggering or bloodshot eyes, and the officer was not about to remember such quantification if not in his report nor notes. During my cross examination, the police officer confirmed that he is trained in field sobriety testing but did not offer such testing to help rule out whether my client was intoxicated. The officer was certified to operate a breathalyzer machine, but did not offer that either, to determine whether my client was actually below the legal limit. The officer slipped in that it is not usual procedure to offer field sobriety nor breathalyzer testing in investigating public intoxication cases. In my closing argument, I pointed out that if a picture is worth a thousand words, then the favorable video clips of my client at the airport are worth at least a thousand words, as I proceeded to act out three of the most beneficial scenes in those video clips. I pointed out that the police officer, as experienced as he is, knew on the arrest date that the prosecutor’s burden is to attempt to prove each case beyond a reasonable doubt. I called it hogwash for police to commonly not offer field sobriety and breathalyzer testing to public intoxication suspects, as such a failure simply added to the reasonable doubt in this case against my client charged with a crime. The jury deliberated for nearly an hour. I very much appreciate the full time and attention the jury gave to my client’s case. Fairfax criminal lawyer Jonathan L. Katz is a battle-tested trial veteran, always full prepared for as victorious a trial as possible. To discuss your case with Jon Katz, please call his staff at 703-383-1100 to schedule a confidential consultation.